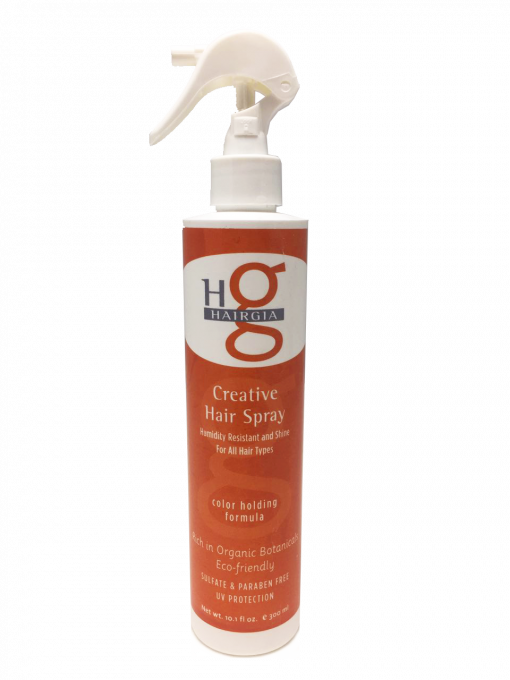 Creative Hair Spray is excellent for finishing your style with all-day hold. It rinses out completely when shampooing and is 100% guaranteed against residue build-up and flaking. Made with natural botanicals, and perfect for men and women. 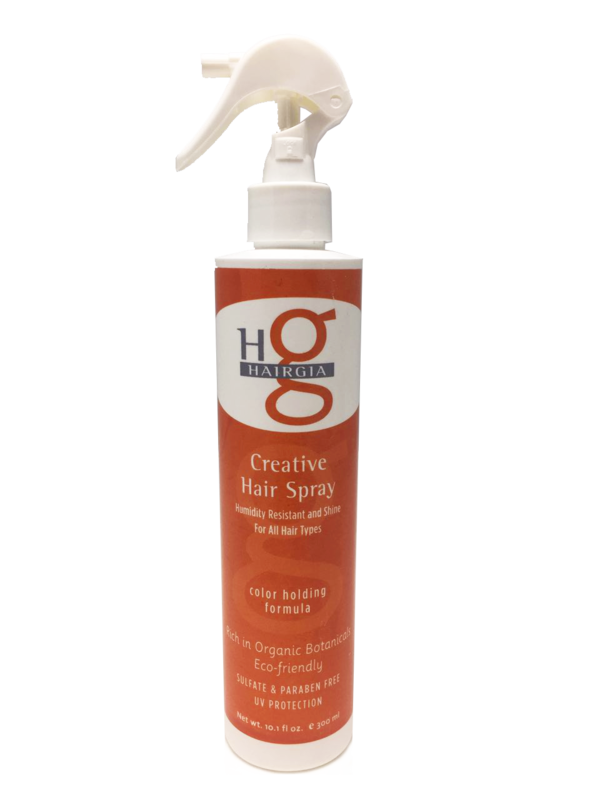 For best results, use Creative Hair Spray after washing hair with your favorite HairGia shampoo and conditioner. DIRECTIONS FOR USE: Spray Creative Hair Spray 8-10 inches from hair. For incredible volume, hold hair up and spray at the roots. For long hair, toss forward, spray at roots and toss back. To restyle after a hard day, wet hands lightly, run through hair. Hold will return. For extra shine and to eliminate frizz, apply Saharan Liquid Gold Argan Oil to damp hair before styling. 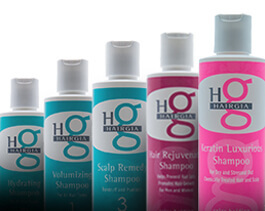 HairGia is committed to producing the best quality hair care products for all hair types, men and women. Each product is created with natural botanicals like aloe and ginseng, and we never test on animals. Our hair products are gentle on your hair and good for the environment. 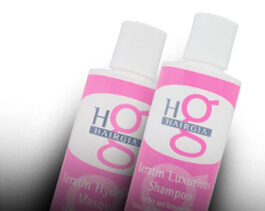 Family owned and operated, HairGia strives to provide our customers with the best. Our own family tests each and every HairGia product to make sure we are providing optimal results. Have any questions, concerns, or comments for us? We’d love to hear from you! Contact us online.